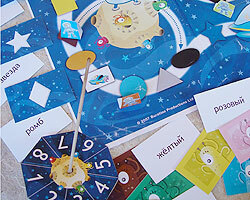 Join Buratino the Lunarnaut on his quest and discover the most effective and fun way to learn and use colour and shape words and phrases in Russian. 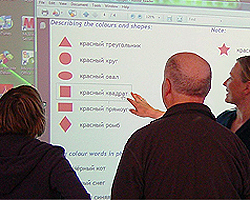 From beginners to intermediate, you choose the level of the games you are playing. Increase the level of difficulty with every round. 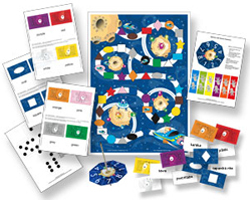 The set is also great for parents and children to use to fill in the day with fun and educational activities – from printing out the pdfs and assembling the games, to playing them. 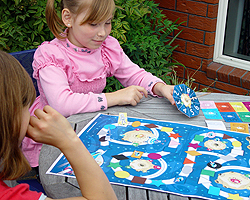 The kit will be sent to you by email in a zip file which you download, print, assemble and play. You will need Acrobat Reader and a colour printer.